MOSCOW, July 27. /TASS/. The European Union considers retaliation to the US bill expanding Russia sanctions by declaring them invalid within the union and by banning European banks’ loans to US companies, Russia’s Permanent Representative to the EU Vladimir Chizhov said in a televised interview with the Rossiya’24 channel on Wednesday. "The talk is still ongoing about some serious measures as, for instance, announcing that this US law is invalid within the European Union. The second step is to halt financing US companies by European banks," Chizhov said, noting that those measures could not be compared with the amount of possible damage to European businesses in case the bill would be implemented in its current version. 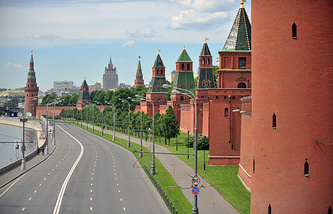 European business was considerably alarmed by the situation with the anti-Russian sanctions, the Russian envoy said. "They do not include just energy companies directly engaged in collaboration with the Russian side, but many, many others," he said, adding that recently the EU "has been doing everything possible to minimize the damage" from sanctions but had not achieved tangible success. The bill imposing tougher restrictions on Russia, Iran and North Korea is likely to be approved, Chizhov added. "Nobody can expect that the bill will not pass through the US Senate," he said. "Besides, nobody can expect that President [Donald] Trump will opt for not signing it into law. Actually, Trump is in a hopeless situation." Russia clarifies to the European Union its position on fresh US sanctions imposed on Russia and in particular, informs Brussels of repercussions stemming from the bill, Vladimir Chizhov said. "The gist of a diplomat’s work does involve contacts, clarification of our stance, clarification of those repercussions that might stem from [adoption of the bill slapping more sanctions on Russia, Iran and North Korea]," Chizhov said, noting that further bilateral collaboration between the EU and Russia would depend on Brussel’s response to the new US sanctions. 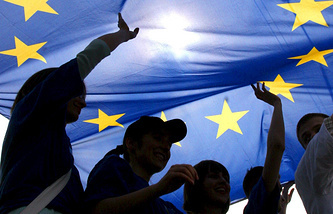 "I can put it baldly, the future vector of our cooperation with the EU will depend on how the European Union will behave in this situation," Chizhov said. 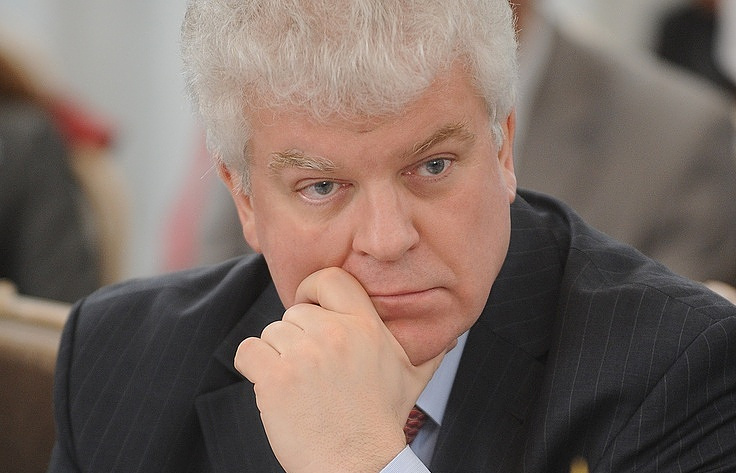 The United States shows an evident commercial interest in the bill expanding sanctions against Russia, Chizhov said. "The subtitle devoted to Russia is titled ‘Countering Russian influence in Europe and Eurasia.’ It seems to reveal the bill’s true meaning," Chizhov said. "Following a passage depicting how bad the project Nord Stream-2 is, which, according to the authors, is presumably at odds with the EU’s energy security (apparently, they see further on Capitol Hill), there is an instruction to the US administration to accelerate work on promotion of own energy resources to the European market. In this, the US commercial interest is becoming quite evident," he said. The US House of Representatives on Tuesday passed a bill to toughen individual US sanctions against Russia, Iran and North Korea. A total of 419 lawmakers supported the bill, with only three votes against. The document will be handed over to the Senate, where it enjoys widespread support from both Democrats and Republicans. If approved by the US legislature, the bill will be forwarded to US President Donald Trump. Should the US president sign it into law, it would be possible to remove the sanctions only by adopting another piece of legislation. Over the past several days, the White House has been signaling that President Trump is ready to sign the document. On Wednesday, Senate Foreign Relations Chairman Bob Corker said that the upper chamber would likely to make amendments to the bill enacting new sanctions against Russia, Iran and North Korea.